I need help. 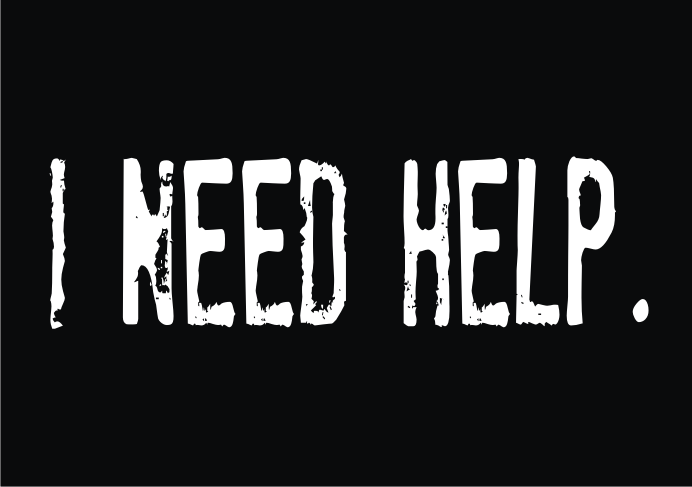 We all need help. On Thursday I talked about ways to hold yourself accountable when wanting to change an area of your life in my post Back to Reality. This applies to any area or time in our life. We all have things we want to improve, but don’t know how to get there. Where can you reach out for HELP? One area of my life that I wanted to improve was my daily enthusiasm for deepening my faith. I had been in a rut and didn’t know where to start. MY HELP this week has been listening to Christian music. Let me tell ya, it is working! I had originally tried diving into the bible, and to be honest, all I kept doing was staring at the words on the page. At that point in time, IT WASN’T WORKING! So if you can’t get momentum, keep trying until something clicks! Maybe your new HELP will be a friend you aren’t thinking of, a new book, getting involved in a group/organization, researching the internet….explore ALL options! Don’t give up! Today is the last day of a free download of “Learning To Be The Light” at K-LOVE! Sa—weet! Thanks for letting me know! I will go check it out right now! Lara, it took some courage to admit something you’ve been strugling with. All of the “long in the tooth” followers of Christ that I know have described similar feelings from time to time. The beatitudes begin (Matt 5:3..Blessed are the poor in spirit, for theirs is the kingdom of heaven). That attitude of humility will be rewarded! One really helpful bible study for me has been the addition of the iMissal app to my phone. Although it was 4.99, it was well worth the cost. I use the “daily readings” component to give me that “direction” of which you spoke.The combination of the old testament with the gospel has really helped to tie the two together for me. “The enduring word” (enduringword.com) mobile commentary also adds some insight. Also remember that Jesus was led to the desert by the Holy Spirit for 40 days right after being baptized! Just keep on keeping on.